Drake Casino was established in 2012 and is licensed in the Curacao. 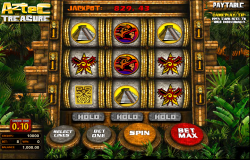 The site has a lot to offer players in terms of games and bonuses, including a 50 free spin bonus exclusive to OCL. Israel, The Netherlands, The Netherlands Antilles, Antigua & Barbuda, Peoples Republic of China, North Korea, Myanmar, Nigeria, Sierra Leone, Somalia, Syria, Sudan, Libya, and the following U.S. States: District of Columbia, Kentucky, Louisiana, Maryland, Missouri, New Jersey, and Washington. Drake Casino was established in 2012 and is licensed in the jurisdiction of Curacao. The site has come to establish itself as a quality gambling site and so it is increasing its customer base at a rapid pace and welcomes American players. 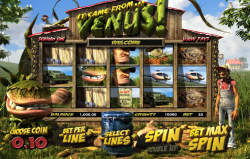 Drake Casino is built on a combination of Betsoft and AE software. 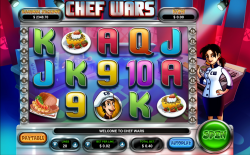 Betsoft is well known for producing some of the top quality games on the market and by partnering with these two software companies, the site is able to offer players more than 200 games. This isn’t a particularly astounding number when compared with many other sites on the market, but it is enough to keep players entertained for hours on end. What is more, because of the high quality games it boasts, players should not have any difficulties in locating some of their favorite titles. When it comes to games, Drake Casino has something to offer just about everyone. There is a very wide range of slots on offer, from 3-reel games to 5-reel video slots that include progressive jackpots and much more. There is also no shortage of video poker and table games, including online roulette, blackjack, baccarat, poker and craps, among many others. The average payout on the games offered by Drake Casino is 97.9%, which is a fair number when compared with many others within the industry. 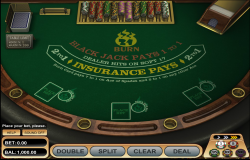 The mobile version of Drake Casino is available on Apple and Android phones and tables and offers games such as slots, European roulette and blackjack, among a few others. Players can access their account via a smartphone or tablet and continue playing some of their favorite Drake Casino games from just about anywhere, as long as they have an internet connection. Drake Casino is offering Online Casino Listings players an exclusive 50 free spins no deposit bonus that they can make use of the moment they sign up with the casino. This is not the only bonus the site has to offer; there is also a 100% up to $5,000 welcome bonus package that prospective players can take advantage of over their first three deposits. Each deposit will earn them a 100% bonus, allowing them to take advantage of up to $5,000. Those who have already signed up to Drake Casino still have a lot to look forward to. The site offers weekly bonuses such as the 75% bonus on Tuesdays, the 50% bonuses on Thursdays and the 100% bonuses on Saturdays. These bonuses are only available on first deposits but they give players a reason to keep coming back to the site, and this has led to many players remaining loyal to the site. On Mondays, players can deposit $50 in order to receive 100 free spins on the featured game of choice. The minimum deposit required for players to take advantage of these bonuses is $25. The wagering requirements on the deposit bonuses are 40x the deposit and the bonus unless it is stated otherwise. This wagering requirement also applies to the no deposit bonuses unless it is stated otherwise. Security is an important facet of an online casino and Drake Casino understands this. To ensure their clients’ information remains safe and secure, the site has put 128-bit SSL encryption technology in place that ensures the information does not fall into the wrong hands. The same system is utilized for all banking transactions which take place over the site. Players can keep their information secure by storing their account number, user name and passwords in a secure location and refraining from sharing this information with anyone else. Drake Casino offers players a few different choices for contacting customer support, including a toll free number and love chat option. The live chat is only available from 9AM EST to 12 AM EST, 7 days every week. This is somewhat limiting, but it is also something that could change in the future. 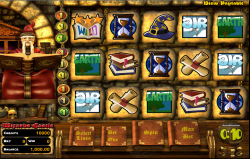 Drake Casino has a lot to offer players in terms of bonuses, game variety and security. The site doesn’t offer a 24/7 live chat feature, but it does offer a toll free number which players can use to contact the site, including a messaging system. 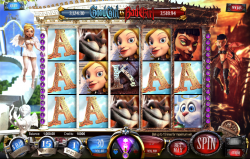 The site is built on a Betsoft platform, which is a well known brand within the online gaming industry. 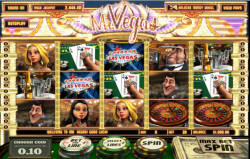 Overall, this is a reputable casino that will offer players everything they have come to expect in a top quality online gaming site.